I’m in disbelief that Halloween is tomorrow! Tomorrow night I will post a picture of our costumes this year (since I still have to finish my husband’s), but until then I will leave you with some of my favorite homemade ones from the past few years. 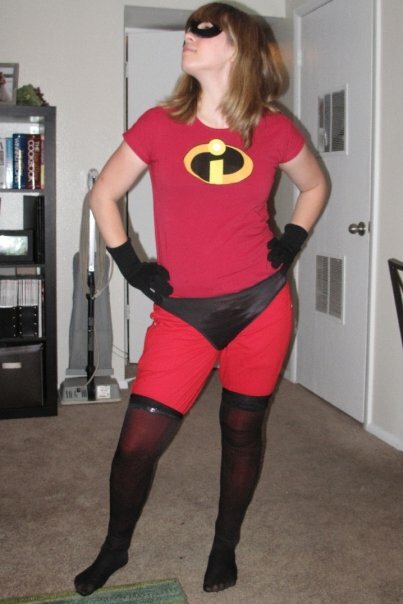 Starting with The Incredibles! I had already owned a red shirt, but just needed to find the rest of the pieces. The logos we printed off on paper and taped to our shirts. 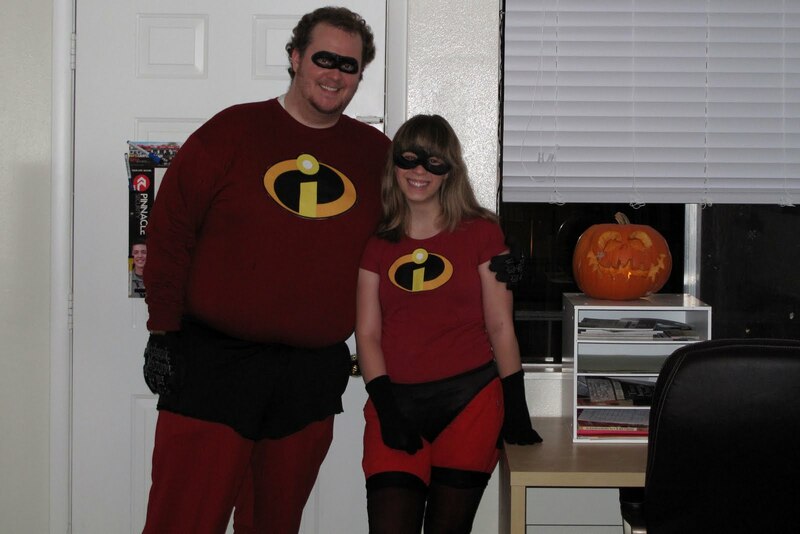 This is a costume we are planning on repeating again someday when we have kids and can cover more of the characters. 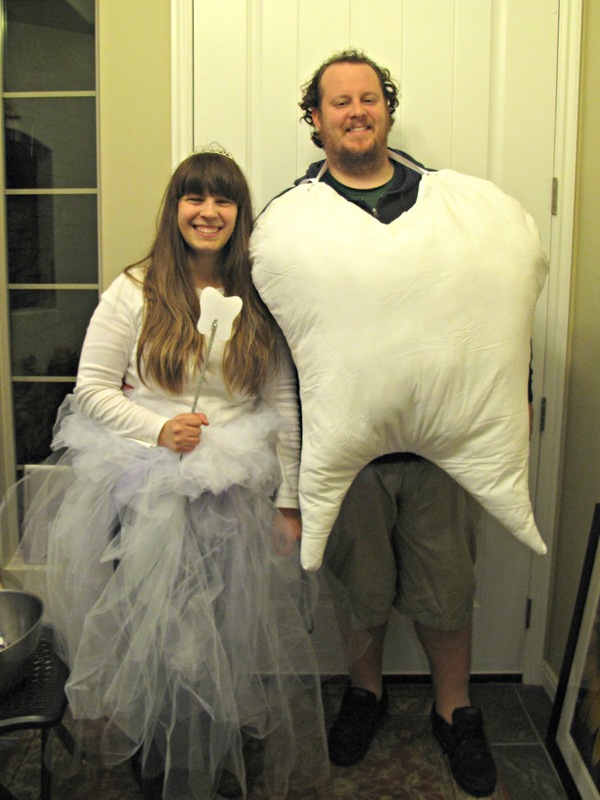 Next is the year my husband was a tooth and I was the tooth fairy. I made my own long tulle skirt by tying strands of tulle around a piece of elastic, then bought another, more fuller, tutu to wear on top. 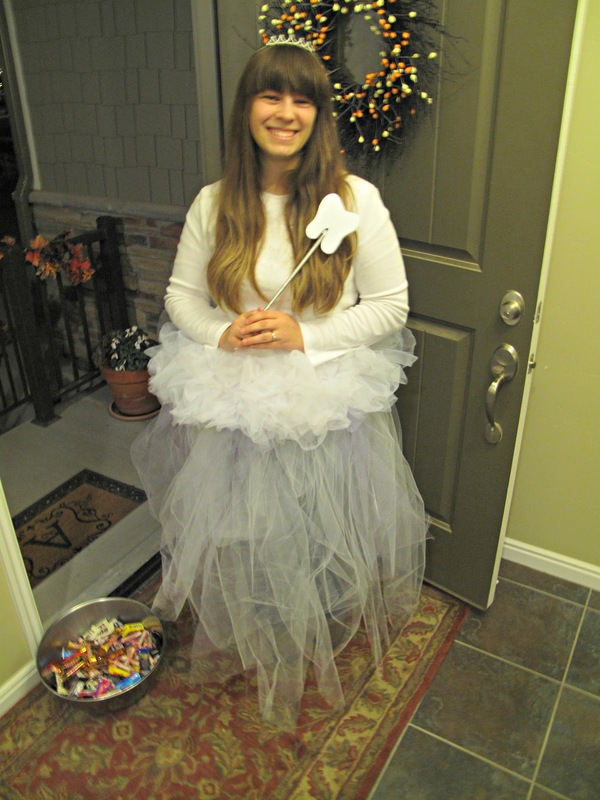 I already had a white shirt, but I did buy a crown, and a wand that I taped a tooth that I cut out of card stock. 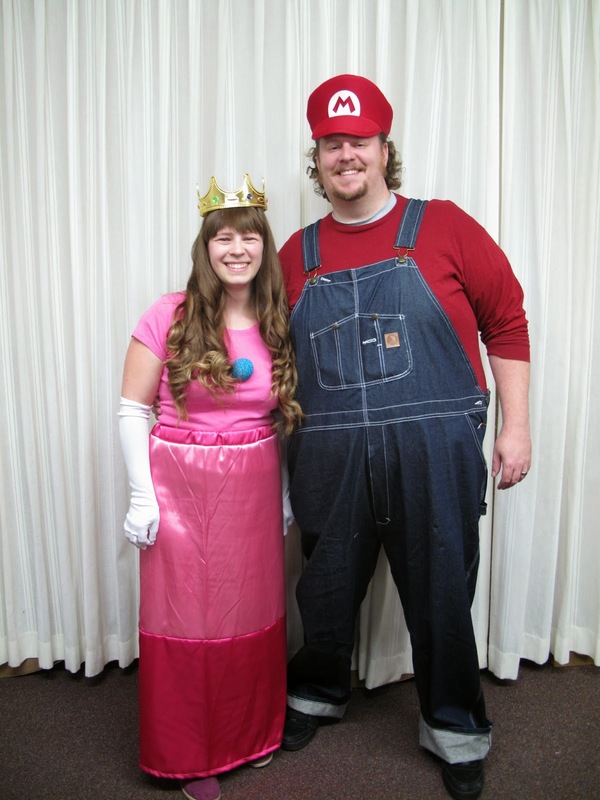 Mario was a very easy costume and involved a red shirt, overalls, and a Mario hat. For the Princess Peach costume I made a skirt using silky fabric, already had a pink shirt, and I bought white gloves and a crown. For the jewel I bought a Styrofoam ball that I painted blue then sprinkled glitter on it. On the back of it I hot glued a safety pin to attach it to my shirt. I loved how it turned out! 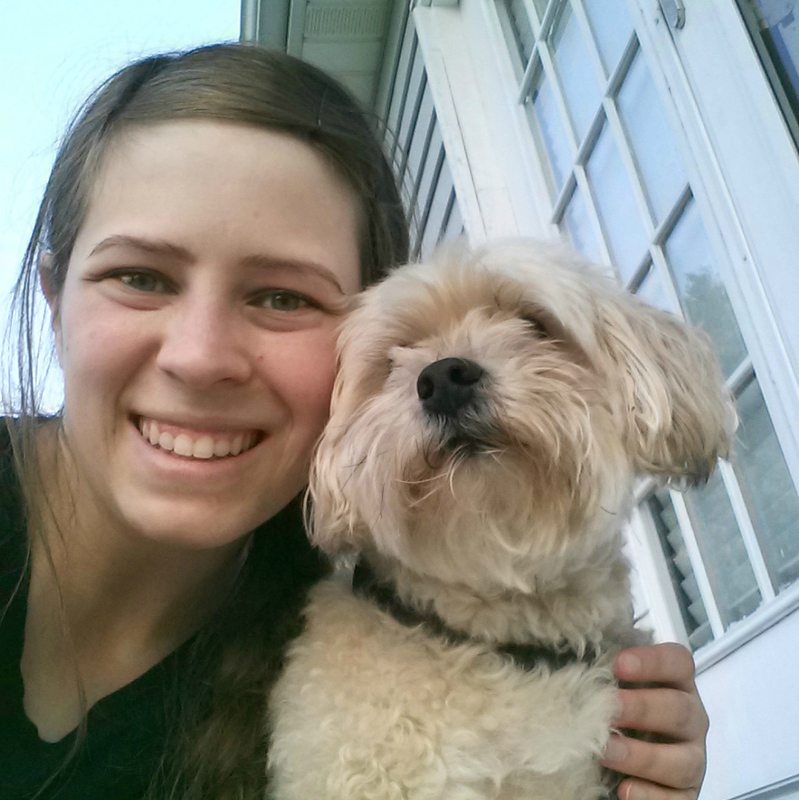 This entry was posted in Holidays on October 31, 2014 by Megan.